With all the great road bikes on the market and all that great carbon fiber material being used, it is getting even more difficult to distinguish between comparable bikes. The differences are subtle and most often reflect component differences or slight fit issues (stem lengths, bar widths, etc.). Those differences become much more apparent when ridden back-to-back. The all-new Axino was my last road bike test of the day and came on the heels of the all-new Ridley Noah RS (which is a great new bike). After getting the rundown on the completely-new frameset design on the Axino, it was quickly apparent that this bike was no slouch and that this relative newcomer (Blue has been around 7 years) to the bike market was onto something special. Starting out with the unified bottom-bracket and chainstays built around a stiff BB30 system (Direct Drive System) and then continuing throughout with strategically-shaped tubes for compliance and stiffness, the Axino is truly a masterpiece. 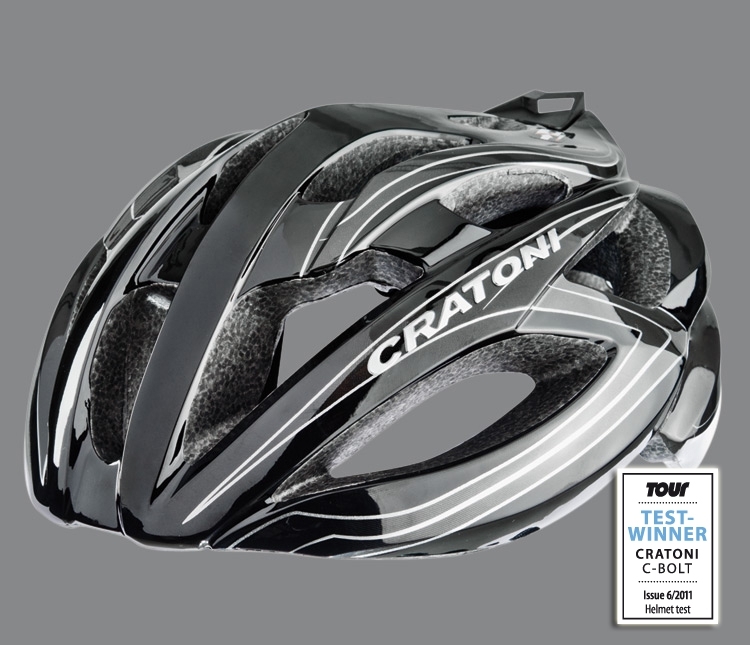 My test bike was the top-of-the-line spec with the Zipp 404 Tubular wheels and SRAM Red components. The entire package just felt fast and responsive. While the build left little to be desired, one small change would have helped — a more climber-friendly cassette. I could have used a little bigger option for the long ascents we conquered, but I made it nonetheless. You can feel the precision of the tapered steerer and the instant power transfer provided by the unified BB/chainstay design (Direct Drive System) and the unified, one-piece top tube, head tube and down tube as every stroke was translated into efficient forward motion. While the Zipp 404 wheels are astoundingly-stiff and responsive, I’d be more keen on a standard wheelset, but the 404′s were amazingly fast with braking power galore. A stiff crosswind may cause some issues, but this bike just felt fast. What I liked best of all on the Axino was its comfort while descending. I felt I could instantly carve downhill in absolute comfort. I was zipping down and pushing limits I’d rarely push on a new-to-me bike. Vibrations are nullified and the bike just loves descending. I have had the pleasure of testing a lot of bikes in 2010 fortunately for me I get to test ride only bikes I chose, not exactly a science but a fantastic job nevertheless. This review is somewhat different because the Eddy Merckx EMX-5 is the bike I chose as my personal ride in 2010 and as we all know ask any cyclist how he likes his own bike and you hear how great it is. How it corners on rails, accelerates like a rocket. It’s not hard to explain this given most of the bikes we ride are designed to deliver world class athletes to the podium and hardly get tested to the limits riding a group ride or century. 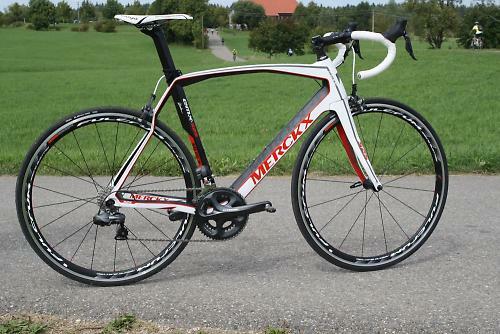 Eddy Merckx EMX-5 is made in the same factory as the top of the line Pinarello bikes. Surf around the web and you will find this was not to the liking of the “forum hounds” these guys felt like it was the demise of Eddy Merckx bikes and pretty soon all bikes would be made in the same factory and look like a “not-so-specialized”. They have a point but seems missed the point in this case. Why would you not love the idea of combining the most desired geometry of any road bike with the most technologically advanced production and materials? My experience with the EMX-5 is exactly that. The geometry and materials are perfectly blended together and the result is a bike that rides fantastically under all circumstance and cannot be faulted at all for construction and quality. The EMX-5 is in other words a Pinarello Paris that has a shorter top tube, taller head tube and less aggressive steering but more aggressive lines and a super beefy bottom bracket. It’s a smooth ride that always inspires confidence and never lacks performance. It’s not an exceptionally light bike but can easily be built to weigh less than 16lbs. Quality inspires confidence. When you take a close look at the EMX-5 you cannot help but notice how neat and clean the painted lines are in in the sun the bold lines of the frames design really stick out. I love the look of this bike more than anything else I have ever owned. The cannibals signature on the top tube and the huge X on the headtube add to the allure of the EMX 5 maybe I just got sucked in and like most of us think the bike I am riding is the ultimate? At the time of writing this review the Eddy Merckx EMX-5 was been ridden in the Tour de France by not only the yellow jersey (Chavanel) but also the polka dot jersey (Pineau) and those bikes are not customized in any way. They are the same frame sold at retail. Watching these guys on television and owning the same bike makes me proud and leaves me satisfied that the EMX-5 is everything I could want in a bike. It’s pure riding pleasure.